What does an app have to do to get onto the first screen of your phone? We’d imagine it would have to be something you’d want or need to use daily – at least. Below are 15 apps we think tick that box for the digital marketer. 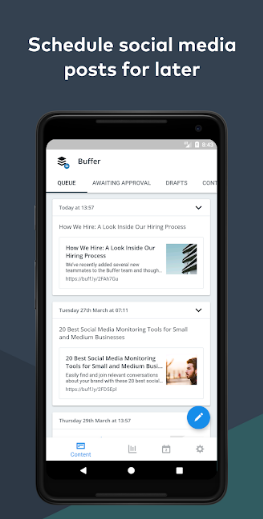 Apps that will make you more effective and efficient, better able to keep on top of things and to squeeze more productivity out of your day (we’ve assumed you’ve got all the usuals – Chrome, Facebook, Twitter and the like.) Some of them come purely in app form, others are stripped-back app versions of desktop services, handy for keeping on top of things when you’re out of the office. All of them could be bidding for a place on that all-important first screen. So read on and get downloading! 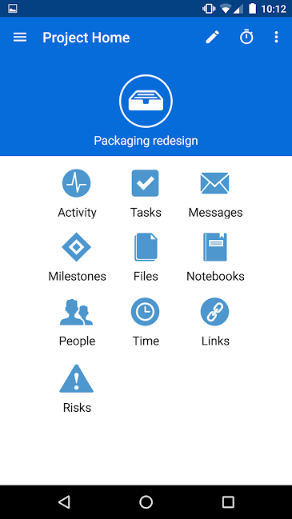 Did you know that the indispensable GA came in app form? It may not have quite the breadth of functionality of its desktop big brother, but there’s enough to satisfy all but the most advanced of users. Not only that but it’s a pleasure to use – easy to set up, fast and intuitive. You’ll probably spend more time checking out your GA stats than you ever did on your laptop! If you want to be completely on top of your site’s stats – wherever and whenever – this is an essential tool. 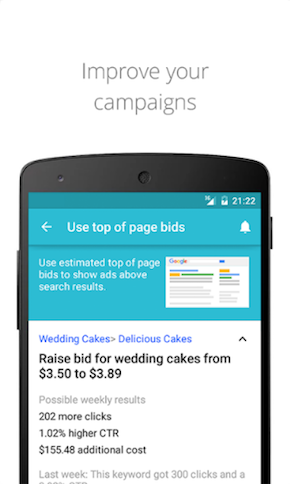 Never enough time to make all the changes you’d like to your Google Ads? 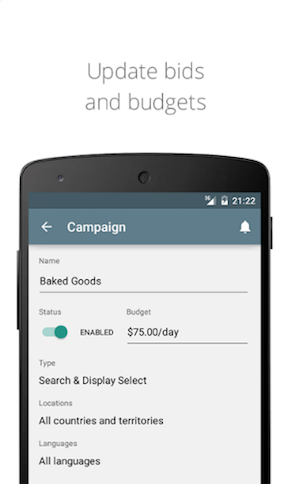 This app allows you to carve out a little more time by allowing you to tweak your campaign while you’re on the move. 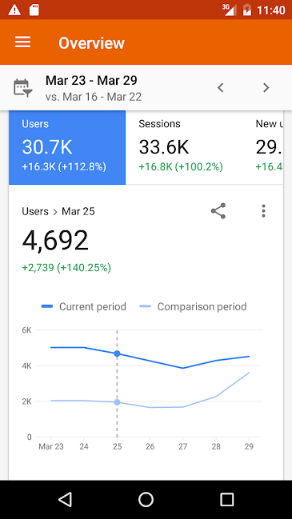 As for Analytics, it doesn’t offer the complete suite of functionality of the desktop version but you can view your campaign stats, update your bids, tweak your budgets, edit your keywords and even call a Google Expert. What more could you want? 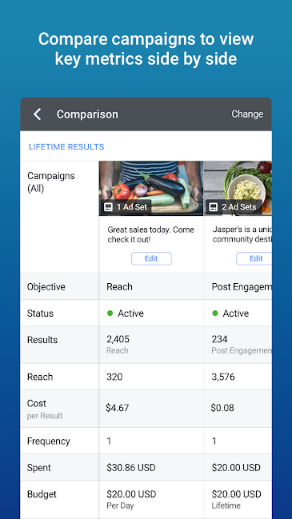 Downloading this app means you can keep on top of your Facebook campaigns whilst you’re out of the office. 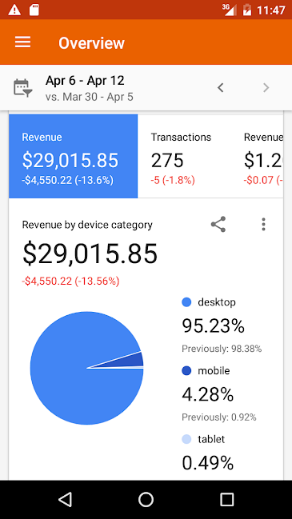 As for the Google apps, this doesn’t offer all the options of the desktop version but it has its own unique and rather neat features – like allowing you to create an ad using a picture from your phone. 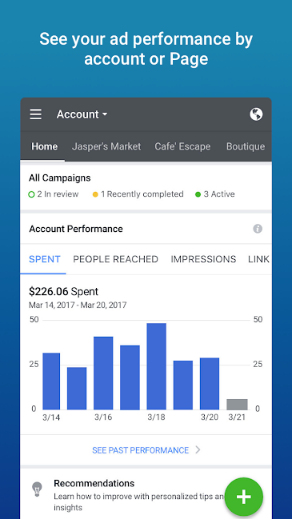 The push notifications – informing you when your ads are expiring, how they’re performing and when they’re nearing the end of their allotted budget – are handy too. Memory overloaded by the sheer volume of stuff happening at both work and home? 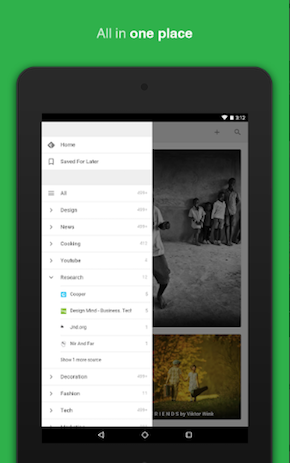 Evernote’s the answer. As the name suggests, it’s primarily a way of organising your notes (and therefore organising your life.) You can snap your handwritten notes, record voice memos, import email attachments, store files from the web and even scrawl your own ‘handwritten’ notes directly into the app. Everything is saved securely to the cloud and you can tag your notes and store them in different notebooks for easy retrieval. Better still, it’s free for up to 60MB of data, and if you find yourself hooked, up to 10GB costs just £4.99 per month. If you’re looking for the best app to manage your social media accounts on the move, you may as well follow the crowd. 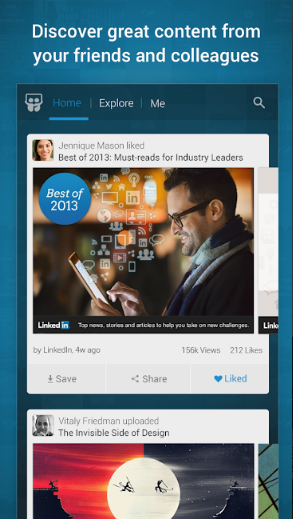 Hootsuite is the most widely used social media management solution on both iOS and Android. If you don’t know already, Hootsuite helps you manage multiple social media accounts (Twitter, Facebook, LinkedIn and Instagram) all in one place – that includes posting and scheduling updates, monitoring messages and mentions and tracking the popularity of your links. 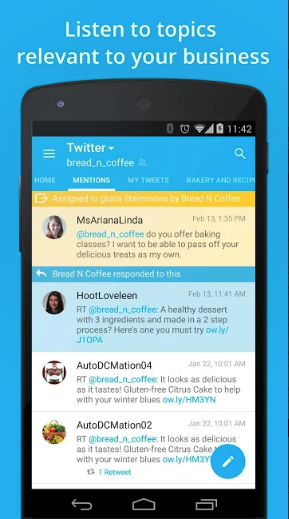 Having this handy app on your phone means you’ll never miss an opportunity to share with your customers and/or peers. 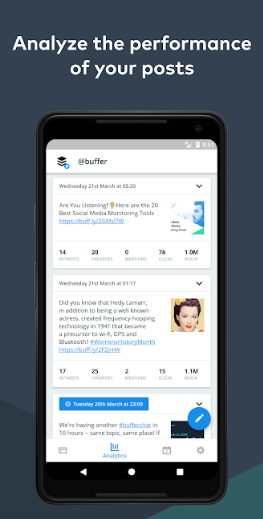 Like Hootsuite, the Buffer app allows you to manage all your social media accounts from one dashboard whilst you’re out and about. Which one should you choose? Well, that will probably come down to which one you’re using on your PC. If you’re new to both of them, you really can’t go wrong as they both offer similar features. Buffer offers the advantage of a Pinterest interface, Hootsuite has more powerful search functionality. Whichever you choose, you can’t really go wrong. Your business isn’t going to flourish if your website is down. 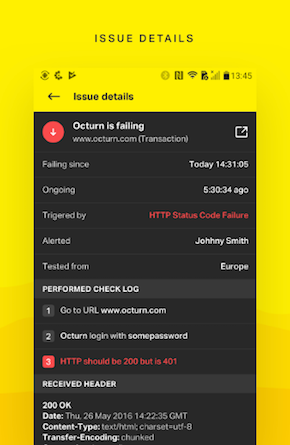 The Pingdom app will alert you to any outages wherever you are and, with its root cause analysis, will help you resolve those problems as quickly as possible. 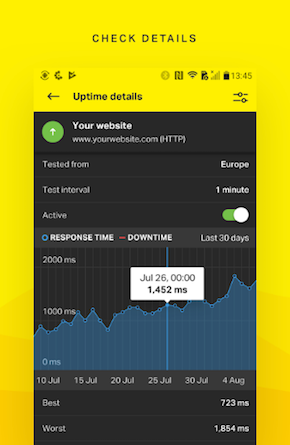 In any spare moments, you can also review your site’s overall performance statistic – perhaps a prompt to shift your site hosting to a more reliable supplier! If you don’t yet use this popular project management and collaboration tool, you might want to reconsider. 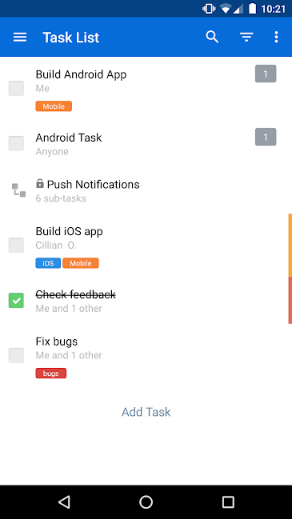 Just like the desktop app, the mobile version allows you to create boards ‘Kanban-style’ for projects you’re working on. 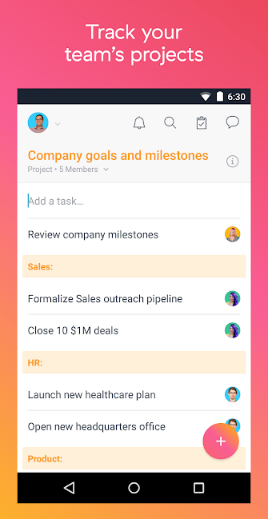 You can invite others to collaborate, add checklists, assign tasks, attach files and just generally keep on top of the important tasks in your work and personal life. Another collaboration and project management tool like Trello. If you’re using either desktop version, then you’ll already have a favourite and you’re no doubt going to download the app version of your preference. If you’re not familiar with either, then Trello is the more flexible and better for broader collaboration with a wider group and Asana is more detailed and better suited to more complex, centrally controlled project management. 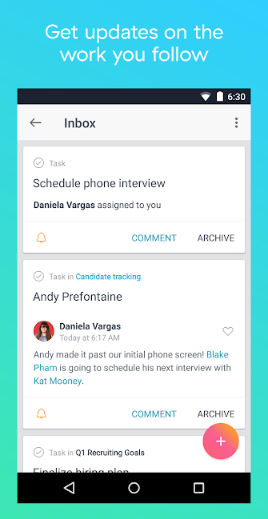 Yet another great collaboration and project management software, Teamwork is favoured by those who need more features and depth than either Asana and Trello offer, including things like time tracking and Gantt charts. It’ll take a little longer to get familiar with those features, but if project management or managing a remote team is a day-to-day thing for you, that investment will no doubt be worthwhile. The app can’t be used as standalone but is a complementary part of the Teamwork suite that can used to keep on top of what’s happening whilst you’re on the move. 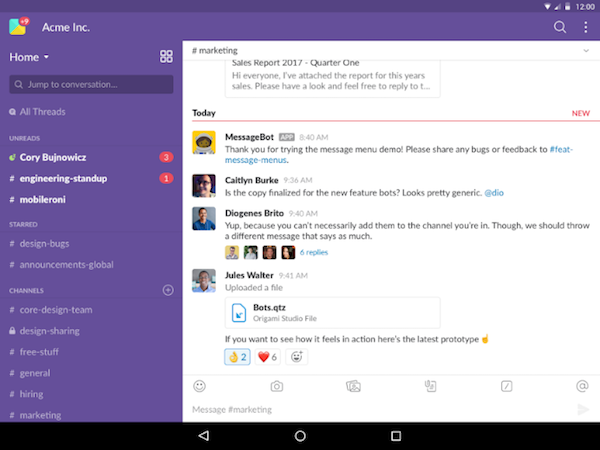 Slack is the perfect complement to either Trello, Asana or Teamwork (it has an integration with both Asana and Teamwork). In short, it’s a communication app that allows you to post messages to one or more team members and allows those conversations to be organised by topic or project (or a topic within a project.) It’s the alternative to emailing, and precious minutes wasted searching through those emails to find the one about a particular topic you sent a few weeks ago (we’ve all been there…). 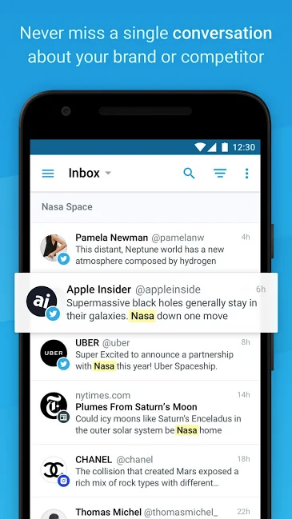 With Slack, you just find the right topic hashtag and you’ll find the relevant message in seconds. If you’re trying to grow a business, it’s handy to know what people are saying about you. 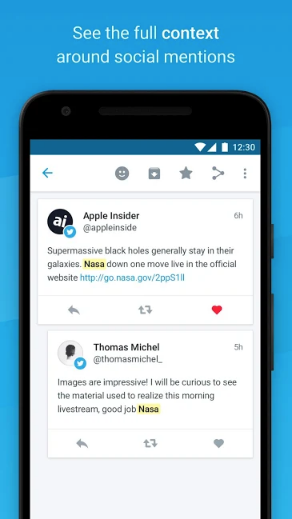 This is exactly what Mention allows you to do, as it monitors the social media and web (over one billion sources) in real time and alerts you to mentions of your company (or you!) It also enables you to find the journalists and bloggers who are particularly influential in your field. Of course, the app version means you can use all these useful features on the move. Bear in mind that Mention isn’t a free service (it starts from $29 per month for a single user) but you can ‘try before you buy’ with a free trial. Digital is such a rapidly evolving beast that building a little bit of ‘me time’ into your day to keep on top of developments is essential. 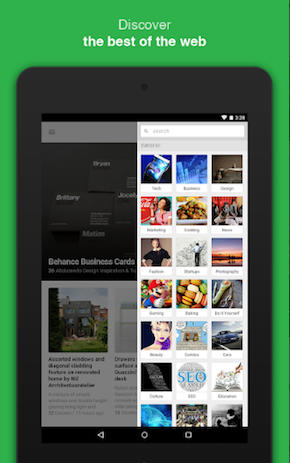 Feedly enables you to do this. In digital parlance, it’s a good, old-fashioned RSS reader, but practically, it’s a beautifully designed, easy to use place to consume content on topics that are important to you. 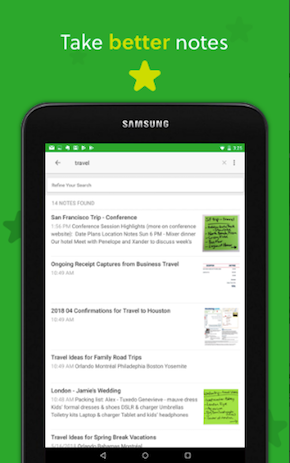 Just find the relevant sites or blogs and add them to the app, and then all the new content from those sources will appear in your Feedly app. 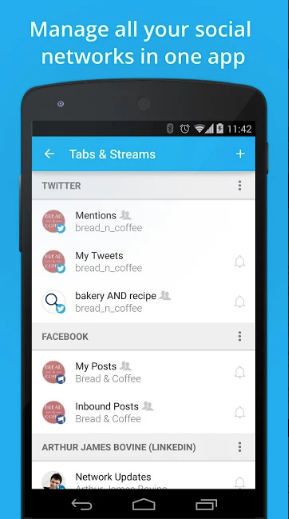 You can organise your feeds by topic, tag articles for future reference or share them with your peer group. A few minutes of investment and you’ll have created one place that you can consume all your industry news whenever you have a spare moment. 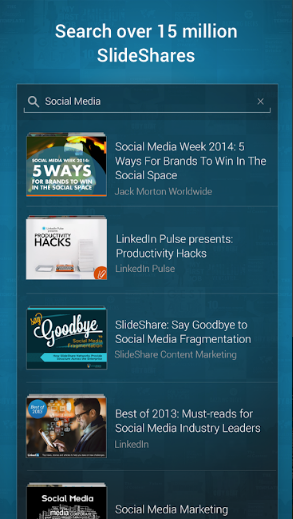 Slideshare should sit alongside Feedly on your phone. It’s another way to broaden and deepen your professional knowledge, but this time by consuming other professionals’ presentations, infographics and reports. 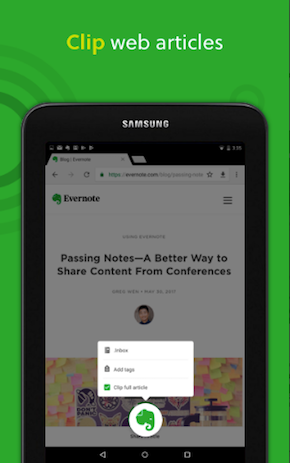 The app enables you to search the database of over 15 million presentations, find out what’s popular in your social network, save your favourites to read later and clip snippets of content from those presentations and save it on ‘clipboards’ for future reference. 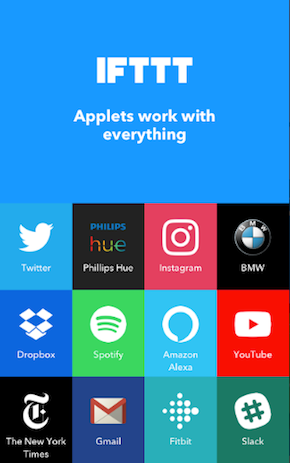 Now you’ve got these 14 apps up and running on your phone, why not use IFTTT (Short for ‘IF This, Then That) to get them working together. 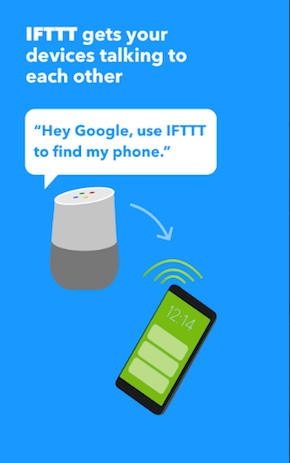 With IFTTT, you can use pre-created ‘applets’ to get one app to work with another in pre-determined ways. For example, if you’re using Slack for collaboration, you can integrate it with your Google Calendar so that 15 minutes before a meeting is due to start, a reminder is posted in Slack for all the participants. 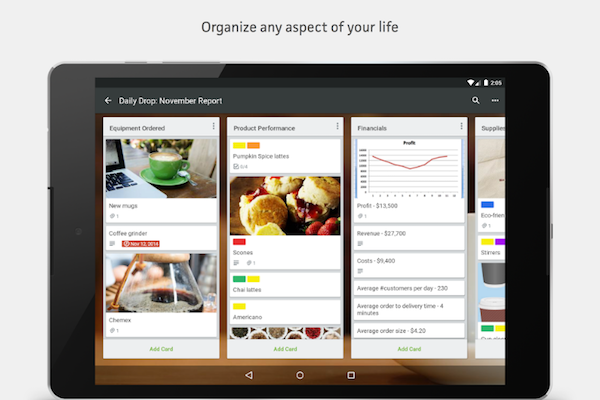 Or you could schedule Trello to create new cards for daily or weekly recurring tasks. And it’s not only work things that IFTTT can help you with – why not schedule a wake-up call which gives you a weather report for the day ahead, or get your phone to ring you to remind you about imminent birthdays?